Can You Be Charged with Kidnapping Your Own Child? In divorce and child custody proceedings, a parent may not take their child, or children, and leave the State of Texas without the consent of the court and the other parent. Even if you are the child’s biological parent, if you try to flee with your child, it could be grounds for kidnapping charges. However, if you have not filed for divorce and are simply separated from your spouse, you have the right to take your child. This is because, under the law, both parents have equal rights in seeing their children and spending time with them. So, if you decide to take your kid out of school early for a weekend trip to Six Flags, you can because there is no enforceable court order limiting your right to do so. Obviously, this may cause friction with your spouse, but it does not meet the legal standard for being able to press charges for parental kidnapping. However, an exception to this general rule is that you must be the child’s biological parent. It is not sufficient to simply function as a parent. For example, if you are engaged to someone who has a child from a previous relationship and you have taken on the role of a parent for the child, this functionary role does not grant you the same rights as a biological parent. Under Texas Penal Code Section 25.03, parental abduction occurs if a parent takes or retains a child (meaning they are not yet 18 years of age) knowing one of the following. A custody suit was filed in regards to the child. The penalties associated with a parental kidnapping charge are quite serious. In fact, parental kidnapping is a felony. If you are convicted of parental abduction, you could be sentenced to serve years in state prison, along with having to pay a monetary fine, as well. If you held your child for ransom, a deadly weapon was used, or your child was abused, then a court has the discretion to enhance the penalties associated with a conviction. If you are genuinely concerned about your spouse abducting your child, you should take proactive steps to address this issue, both for your protection and the child’s protection. Your Houston divorce lawyer can file a motion with the court asking that an emergency custody order be entered and enforced. This custody order would place your child in your care until the custody hearing is complete and the judge has entered a decision. 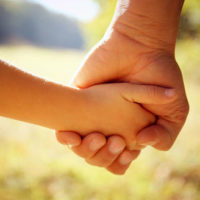 Child custody disputes during a divorce are often one of the most emotional experience you will face. At Lindamood & Robinson, P.C., we are here to help. We understand that child custody disputes routinely involve an array of emotions including anger, fear and resentment. Have an experienced Houston lawyer by your side guiding you through this difficult process.